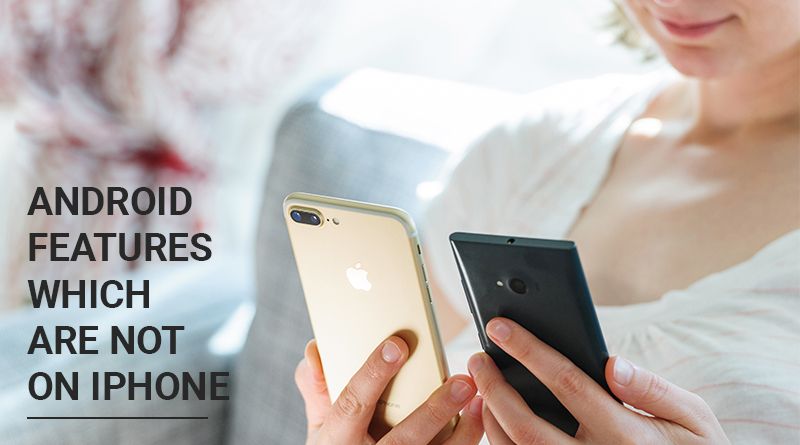 iOS and Android are undoubtedly the two most popular smartphone OS across the globe. Though most of their features are quite similar, the interface, the look and feel of the OS is what makes them different from each other. Contrary to popular belief, there are a few things that Android can do, but iOS surprisingly lacks. Therefore, in this post, we have mentioned some of the features which Android has, and iPhone doesn’t. Let’s get started! Accessing your files and folders is easy when it comes to Android. All you need to do is connect your Android device to your computer using a USB cable. You can copy, move and perform other file operations with ease. However, on iOS devices, it is different when you connect it to your computer. As you can only check camera contents. When it comes to file managers, there is no true file system access on iOS devices. You can only see recent files; therefore, it is limited. However, you can access all files on Android with the help of the file manager. Also, you can perform all the file operations such as copying a file, moving a file, deleting a file on your Android. There are many File managers available on the Play Store. This makes a device simple and easy to use, which is missing on the iPhone. iPhone users were happy when Apple introduced rise to wake feature. With this, now Apple users don’t have to press a wake or power button to turn on the display. Then comes this feature on Android, where you can turn the phone’s display on with a simple glance. You can check time, date, notifications and more, awesome isn’t it? This feature is quite new and available with flagship phones. You can also disable the feature in case you don’t want it. Though both of the platforms make accessibility better but glancing on the screen is better than picking a phone to turn on the display. 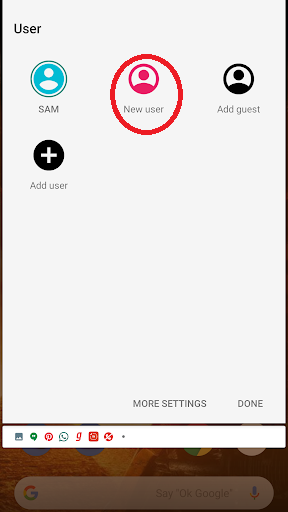 If you have Android 5.0 or above, then you can allow another user to access their information, apps, without messing up the main user account and settings. Also, you can hand over your phone to anyone which the hesitation of other people accessing personal information, by using Guest Mode. With this mode, a guest user can perform simple functions without your alerting anything on the primary account. This is what Android can do, but when it comes to the iPhone, there is no such thing as a secondary account or guest mode. As iPhone is not meant for multiple users. However, on iPad, it could be useful to have multiple user accounts. When it comes to setting a default browser, Android takes the cookie in this category as well. Whenever you download a browser on Android, a prompt lets you set it as default for opening links. 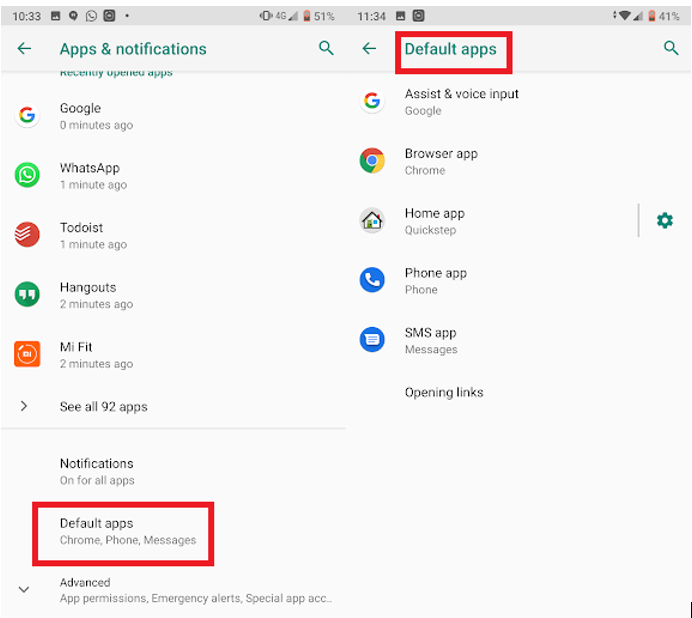 You can also set default apps for messaging app, phone app, keyboard, digital assistant and many more. Also, you can change them anytime you like. Wherein on iPhone, you can download other browsers but are not given the option to set it as default. Similarly, you can’t set keyboard preferences as well. The customization is another aspect which iOS doesn’t have. In iOS, you can only change the place of icons and group them in folders to organize your home screen neatly. Wherein on Android, along with arranging and grouping icons, you can revamp the entire home screen by adding widgets. Also, there are various Android launchers available in Google Play Store which changes the entire home screen layout. So, these are some of the features which Android has and therefore make it more user-oriented then Apple. We are not saying iOS is not a worthy platform, but there are certain limitations to the user accessibility.